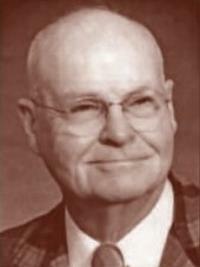 Aviation crash safety pioneer Dr. James W. “Doc” Turnbow, 85, passed away April 29, 2004 at the Nampa, Idaho home. A graduate of Texas Tech, he served for several years as an officer in the Ordinance Department of the U.S. Army during World War II, before joining North American Aviation where he helped design the P-82 Twin Mustang. He earned a Ph.D. in mechanical engineering at the University of Texas in 1958, and then joined the engineering faculty at Arizona State University where he remained until his retirement in 1983. While at ASU, he joined the Aviation Safety Engineering & Research division of Flight Safety Foundation. At its chief scientist, he used full scale aircraft crash and related testing to guide the formation, management and work of a team pioneering aircraft crash injury analysis and investigation. He and his team set out to develop and prove new practical approaches to aircraft design and construction that would become the benchmark for crashworthiness worldwide. The product of his work is now reflected in every form of crashworthiness technology being used in aviation and aerospace today, from improved airframe structures to better seats, restraint systems, airframe parachutes, evacuation standards, seatbelts, helmets, airbags, energy absorption and fireproof materials. His body of work has evolved into the collective work now known as the U.S. government’s five volume “Aircraft Crash Survival Guide,” the world’s primary reference work on the subject. In 1991, AHS International recognized Dr. Turnbow with the Harry T. Jenson Award and in 2003, during the AHS Forum in Phoenix, he was formally recognized as an Aircraft Crash Safety Pioneer. His interests were broad and included flying gliders and mastering flamenco guitar, silversmithing, and trout fishing. In his personal greenhouse in Nampa, Idaho, he developed several new orchid varieties that now carry the Turnbow name.